Henry A. Siebert (1862-1922) was born in Detroit to parents of German heritage, and was a protégé of Melchers. From 1884-1889, he was employed as a woodcarver for Julius Melchers until they became partners in 1890. 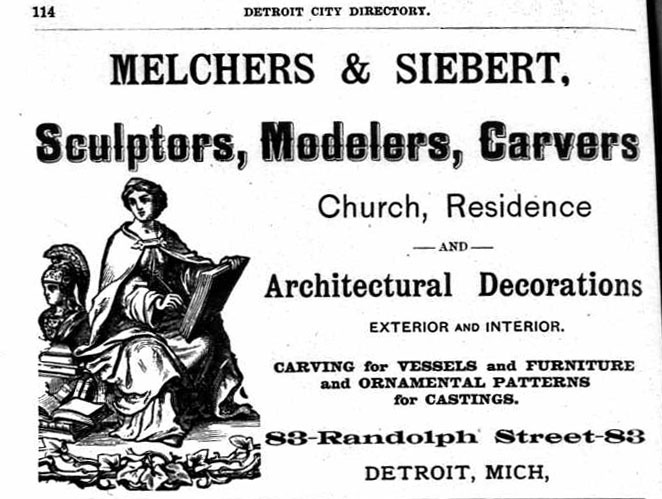 Ten years later, Siebert was employed as a designer for The Wilton-Reuther Company, and from 1903-1910 formed a partnership with Joachim Jungwirth. 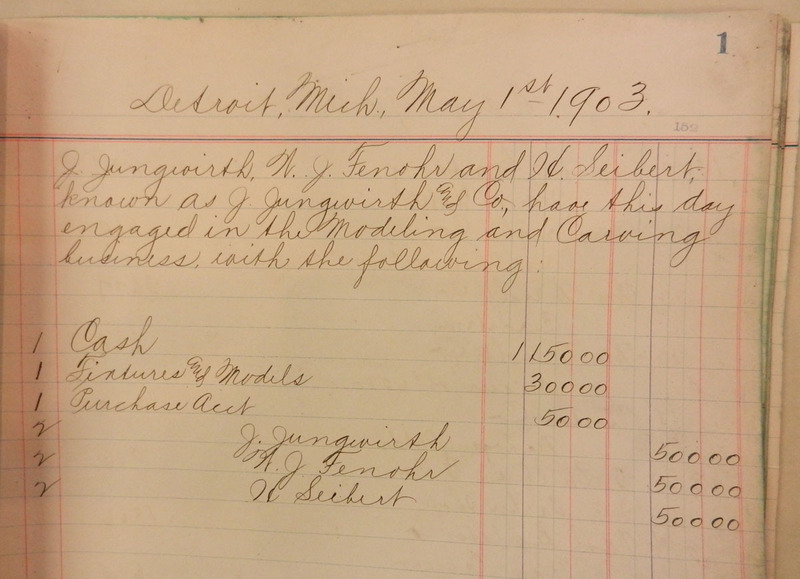 In later life, he worked as a laborer, carpenter, and sculptor. He was a member of the Schiller Lodge No. 263, F & A.M. 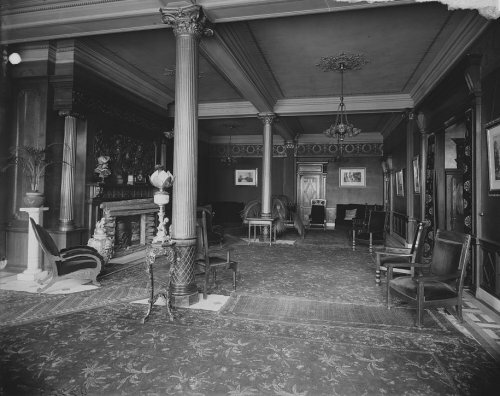 Since it is nearly impossible to determine how the work was divided between Melchers and Siebert, or Jungwirth and Siebert, see Melcher’s post for additional projects (1884-1900) and Jungwirth’s post for additional projects (1903-1910).